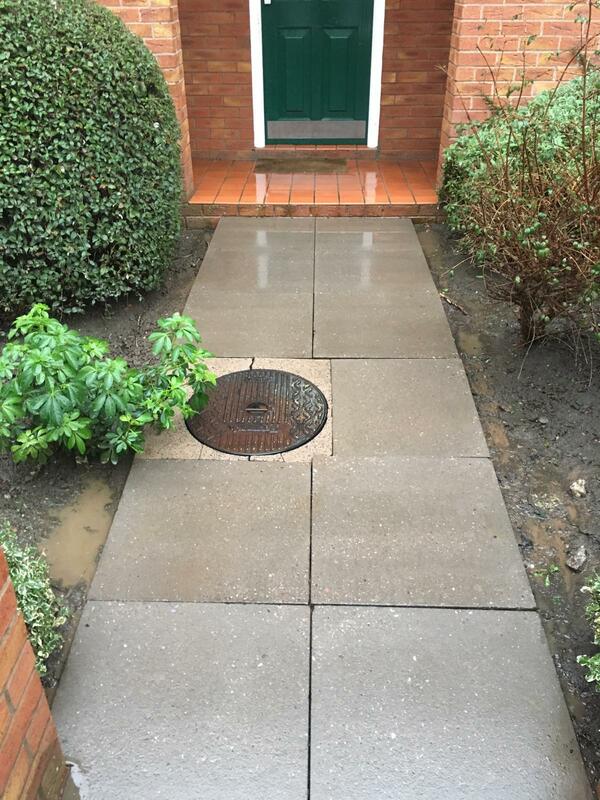 Jet washing for property managers can be a fast and effective way to restore surfaces to an extremely high level of cleanliness, helping to make sure the property appeals to those who live or work in it and continues to attract future tenants. Dirt on walls, render and pavements. Malicious damage e.g. chewing gum, graffiti. Safety hazards e.g. slippery deposits on paths. Our hot-water technology goes beyond the capabilities of most jet washing systems, using a combination of pressure and heat to penetrate and dislodge even more surface dirt and discolouration, and get the job done quickly and efficiently. Many of our bookings involve communal area jet washing for property managers who want to provide their tenants with a fresh and clean entry area following the wet and muddy weather of winter. Jet washed pavements are a good way to do this, but there are also more specific practical applications too – for example, jet washing car parks can help to make line markings more visible and improve grip on painted lines, metal manhole covers and around drains. If, after jet washing, your car park line markings are still not bright enough or are still not clearly visible, we can provide thermoplastic line marking services to restore them, including labeling reserved bays, maintenance parking bays, areas reserved for emergency vehicles and so on. TopMark Solutions provide a professional service for managed properties, with modern, cutting edge jet washing equipment that gets the job done quickly and cleanly with less water used. We have a standpipe water contract with United Utilities to use the mains supply for pressure washing, so there are no additional permits to negotiate in locations across Greater Manchester and the north-west. Our team are fully trained and experienced in all of the services we provide and with all of our different machinery and equipment, and dressed in branded uniforms to provide the right first impression for any of your tenants who see the work being carried out. Finally, if you have an ongoing need for your premises to be cleaned using pressure washers, ask us about planned maintenance contracts and we will be happy to draw up a timetable that works within your needs and your budget.